Mr. Thomas D. Stewart, Jr.
Mr. Stewart has over two (2) decades of professional healthcare experience. He co-founded JTS Health Partners and its holding company, JTS Ventures, Inc. (formed in 2002), with the healthcare subsidiary in operation since 2009. He is a results-oriented executive with progressive information technology, consulting, financial management and revenue cycle management experience within the healthcare provider and physician sectors. “Our firm remains focused on providing our clients with tremendous value and service level. Our internal goals are simple, every client is a reference; which continues to remain true. Our promise is simple, we operate serving our client’s best interest with top talented healthcare professionals,” Mr. Stewart says. 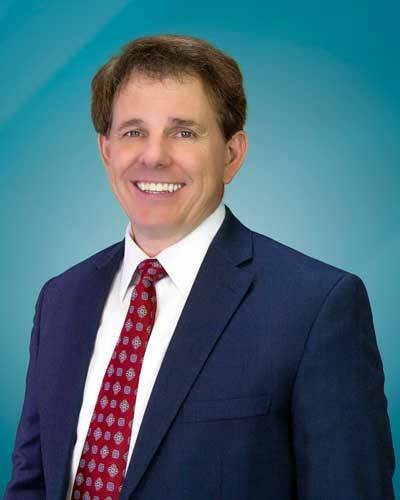 Mr. Stewart began his healthcare career in Atlanta, Georgia and has worked for the following organizations: International Business Machines (IBM), Coram Healthcare, Oncology Partners/Value Sciences, KPMG Peat Marwick and Siemens Medical Solutions USA. He has an accounting degree from Kennesaw State University and is a Certified Public Accountant (CPA) in the state of Georgia. Mr. Stewart is a member of the Board of Advisors for the Private Bank of Buckhead in Atlanta, Georgia. In addition, he and his wife, Julie Echols Stewart, co-founded a Georgia non-profit foundation named “Starfish Kids”. Since 2012, this organization has assisted with providing services to children who have needs within the autism spectrum field. The Stewart’s reside in Atlanta, Georgia and have two (2) children: Anthony and Annalise. Mr. Merrywell earned his Bachelor of Science, Business and Management degree from the University of Maryland and his Master of Science Management from Webster University – St. Louis, Missouri. He is certified in Information Technology Infrastructure Library (ITIL) Foundations. Ms. Neely has over twenty-five (25) years of human resources experience and currently serving as Senior Director of Human Resources. Her experience encompasses recruiting and talent acquisition, compensation, benefits, performance management, employee relations and HR compliance. She spent all of her professional years in the financial services industry prior to joining JTS. Ms. Neely is a certified HR professional with the Society for Human Resource Management and has held positions of leadership in the organization.